This is “Organizing Persuasive Speeches”, section 17.3 from the book Public Speaking: Practice and Ethics (v. 1.0). For details on it (including licensing), click here. 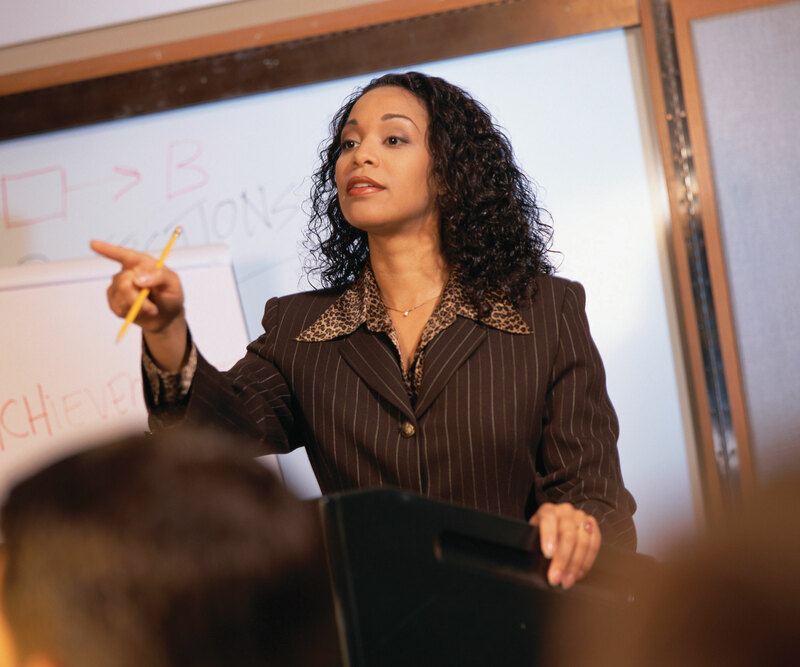 Understand three common organizational patterns for persuasive speeches. Explain the steps utilized in Monroe’s motivated sequence. Explain the parts of a problem-cause-solution speech. Explain the process utilized in a comparative advantage persuasive speech. Previously in this text we discussed general guidelines for organizing speeches. In this section, we are going to look at three organizational patterns ideally suited for persuasive speeches: Monroe’s motivated sequence, problem-cause-solution, and comparative advantages. One of the most commonly cited and discussed organizational patterns for persuasive speeches is Alan H. Monroe’s motivated sequence. The purpose of Monroe’s motivated sequence is to help speakers “sequence supporting materials and motivational appeals to form a useful organizational pattern for speeches as a whole.”German, K. M., Gronbeck, B. E., Ehninger, D., & Monroe, A. H. (2010). Principles of public speaking (17th ed.). Boston, MA: Allyn & Bacon, p. 236. While Monroe’s motivated sequence is commonly discussed in most public speaking textbooks, we do want to provide one minor caution. Thus far, almost no research has been conducted that has demonstrated that Monroe’s motivated sequence is any more persuasive than other structural patterns. In the only study conducted experimentally examining Monroe’s motivated sequence, the researchers did not find the method more persuasive, but did note that audience members found the pattern more organized than other methods.Micciche, T., Pryor, B., & Butler, J. (2000). A test of Monroe’s motivated sequence for its effects on ratings of message organization and attitude change. Psychological Reports, 86, 1135–1138. We wanted to add this sidenote because we don’t want you to think that Monroe’s motivated sequence is a kind of magic persuasive bullet; the research simply doesn’t support this notion. At the same time, research does support that organized messages are perceived as more persuasive as a whole, so using Monroe’s motivated sequence to think through one’s persuasive argument could still be very beneficial. Table 17.1 "Monroe’s Motivated Sequence" lists the basic steps of Monroe’s motivated sequence and the subsequent reaction a speaker desires from his or her audience. Attention—Getting Attention I want to listen to the speaker. Need—Showing the Need, Describing the Problem Something needs to be done about the problem. Satisfaction—Satisfying the Need, Presenting the Solution In order to satisfy the need or fix the problem this is what I need to do. Visualization—Visualizing the Results I can see myself enjoying the benefits of taking action. Action—Requesting Audience Action or Approval I will act in a specific way or approve a decision or behavior. The first step in Monroe’s motivated sequence is the attention stepFirst step in Monroe’s motivated sequence where a speaker attempts to get his or her audience’s attention., in which a speaker attempts to get the audience’s attention. To gain an audience’s attention, we recommend that you think through three specific parts of the attention step. First, you need to have a strong attention-getting device. As previously discussed in Chapter 9 "Introductions Matter: How to Begin a Speech Effectively", a strong attention getter at the beginning of your speech is very important. Second, you need to make sure you introduce your topic clearly. If your audience doesn’t know what your topic is quickly, they are more likely to stop listening. Lastly, you need to explain to your audience why they should care about your topic. In the need stepSecond step in Monroe’s motivated sequence where a speaker establishes that there is a specific need or problem. of Monroe’s motivated sequence, the speaker establishes that there is a specific need or problem. In Monroe’s conceptualization of need, he talks about four specific parts of the need: statement, illustration, ramification, and pointing. First, a speaker needs to give a clear and concise statement of the problem. This part of a speech should be crystal clear for an audience. Second, the speaker needs to provide one or more examples to illustrate the need. The illustration is an attempt to make the problem concrete for the audience. Next, a speaker needs to provide some kind of evidence (e.g., statistics, examples, testimony) that shows the ramifications or consequences of the problem. Lastly, a speaker needs to point to the audience and show exactly how the problem relates to them personally. First, you need to clearly state the attitude, value, belief, or action you want your audience to accept. The purpose of this statement is to clearly tell your audience what your ultimate goal is. Second, you want to make sure that you clearly explain to your audience why they should accept the attitude, value, belief, or action you proposed. Just telling your audience they should do something isn’t strong enough to actually get them to change. Instead, you really need to provide a solid argument for why they should accept your proposed solution. Third, you need to show how the solution you have proposed meets the need or problem. Monroe calls this link between your solution and the need a theoretical demonstration because you cannot prove that your solution will work. Instead, you theorize based on research and good judgment that your solution will meet the need or solve the problem. Fourth, to help with this theoretical demonstration, you need to reference practical experience, which should include examples demonstrating that your proposal has worked elsewhere. Research, statistics, and expert testimony are all great ways of referencing practical experience. Lastly, Monroe recommends that a speaker respond to possible objections. As a persuasive speaker, one of your jobs is to think through your speech and see what counterarguments could be made against your speech and then rebut those arguments within your speech. When you offer rebuttals for arguments against your speech, it shows your audience that you’ve done your homework and educated yourself about multiple sides of the issue. The next step of Monroe’s motivated sequence is the visualization stepFourth step in Monroe’s motivated sequence where a speaker asks his or her audience to visualize a future where the need has been met or the problem solved., in which you ask the audience to visualize a future where the need has been met or the problem solved. In essence, the visualization stage is where a speaker can show the audience why accepting a specific attitude, value, belief, or behavior can positively affect the future. When helping people to picture the future, the more concrete your visualization is, the easier it will be for your audience to see the possible future and be persuaded by it. You also need to make sure that you clearly show how accepting your solution will directly benefit your audience. According to Monroe, visualization can be conducted in one of three ways: positive, negative, or contrast.Monroe, A. H. (1935). Principles and types of speech. Chicago, IL: Scott Foresman. The positive method of visualization is where a speaker shows how adopting a proposal leads to a better future (e.g., recycle, and we’ll have a cleaner and safer planet). Conversely, the negative method of visualization is where a speaker shows how not adopting the proposal will lead to a worse future (e.g., don’t recycle, and our world will become polluted and uninhabitable). Monroe also acknowledged that visualization can include a combination of both positive and negative visualization. In essence, you show your audience both possible outcomes and have them decide which one they would rather have. The final step in Monroe’s motivated sequence is the action stepFifth step in Monroe’s motivated sequence where a speaker asks for an audience to approve the speaker’s proposal., in which a speaker asks an audience to approve the speaker’s proposal. For understanding purposes, we break action into two distinct parts: audience action and approval. Audience action refers to direct physical behaviors a speaker wants from an audience (e.g., flossing their teeth twice a day, signing a petition, wearing seat belts). Approval, on the other hand, involves an audience’s consent or agreement with a speaker’s proposed attitude, value, or belief. When preparing an action step, it is important to make sure that the action, whether audience action or approval, is realistic for your audience. Asking your peers in a college classroom to donate one thousand dollars to charity isn’t realistic. Asking your peers to donate one dollar is considerably more realistic. In a persuasive speech based on Monroe’s motivated sequence, the action step will end with the speech’s concluding device. As discussed elsewhere in this text, you need to make sure that you conclude in a vivid way so that the speech ends on a high point and the audience has a sense of energy as well as a sense of closure. Specific Purpose: To persuade my classroom peers that the United States should have stronger laws governing the use of for-profit medical experiments. Attention: Want to make nine thousand dollars for just three weeks of work lying around and not doing much? Then be a human guinea pig. Admittedly, you’ll have to have a tube down your throat most of those three weeks, but you’ll earn three thousand dollars a week. Need: Every day many uneducated and lower socioeconomic-status citizens are preyed on by medical and pharmaceutical companies for use in for-profit medical and drug experiments. Do you want one of your family members to fall prey to this evil scheme? Satisfaction: The United States should have stronger laws governing the use of for-profit medical experiments to ensure that uneducated and lower-socioeconomic-status citizens are protected. Visualization: If we enact tougher experiment oversight, we can ensure that medical and pharmaceutical research is conducted in a way that adheres to basic values of American decency. If we do not enact tougher experiment oversight, we could find ourselves in a world where the lines between research subject, guinea pig, and patient become increasingly blurred. Action: In order to prevent the atrocities associated with for-profit medical and pharmaceutical experiments, please sign this petition asking the US Department of Health and Human Services to pass stricter regulations on this preying industry that is out of control. This example shows how you can take a basic speech topic and use Monroe’s motivated sequence to clearly and easily outline your speech efficiently and effectively. Table 17.2 "Monroe’s Motivated Sequence Checklist" also contains a simple checklist to help you make sure you hit all the important components of Monroe’s motivated sequence. Another format for organizing a persuasive speech is the problem-cause-solution format. In this specific format, you discuss what a problem is, what you believe is causing the problem, and then what the solution should be to correct the problem. Specific Purpose: To persuade my classroom peers that our campus should adopt a zero-tolerance policy for hate speech. Demonstrate that there is distrust among different groups on campus that has led to unnecessary confrontations and violence. Show that the confrontations and violence are a result of hate speech that occurred prior to the events. Explain how instituting a campus-wide zero-tolerance policy against hate speech could stop the unnecessary confrontations and violence. In this speech, you want to persuade people to support a new campus-wide policy calling for zero-tolerance of hate speech. Once you have shown the problem, you then explain to your audience that the cause of the unnecessary confrontations and violence is prior incidents of hate speech. Lastly, you argue that a campus-wide zero-tolerance policy could help prevent future unnecessary confrontations and violence. Again, this method of organizing a speech is as simple as its name: problem-cause-solution. Specific Purpose: To persuade my audience that the Nook is more advantageous than the Kindle. The Nook allows owners to trade and loan books to other owners or people who have downloaded the Nook software, while the Kindle does not. The Nook has a color-touch screen, while the Kindle’s screen is black and grey and noninteractive. The Nook’s memory can be expanded through microSD, while the Kindle’s memory cannot be upgraded. As you can see from this speech’s organization, the simple goal of this speech is to show why one thing has more positives than something else. Obviously, when you are demonstrating comparative advantages, the items you are comparing need to be functional equivalents—or, as the saying goes, you cannot compare apples to oranges. There are three common patterns that persuaders can utilize to help organize their speeches effectively: Monroe’s motivated sequence, problem-cause-solution, and comparative advantage. Each of these patterns can effectively help a speaker think through his or her thoughts and organize them in a manner that will be more likely to persuade an audience. Alan H. Monroe’s (1935) motivated sequence is a commonly used speech format that is used by many people to effectively organize persuasive messages. The pattern consists of five basic stages: attention, need, satisfaction, visualization, and action. In the first stage, a speaker gets an audience’s attention. In the second stage, the speaker shows an audience that a need exists. In the third stage, the speaker shows how his or her persuasive proposal could satisfy the need. The fourth stage shows how the future could be if the persuasive proposal is or is not adopted. Lastly, the speaker urges the audience to take some kind of action to help enact the speaker’s persuasive proposal. The problem-cause-solution proposal is a three-pronged speech pattern. The speaker starts by explaining the problem the speaker sees. The speaker then explains what he or she sees as the underlying causes of the problem. Lastly, the speaker proposes a solution to the problem that corrects the underlying causes. The comparative advantages speech format is utilized when a speaker is comparing two or more things or ideas and shows why one of the things or ideas has more advantages than the other(s). Create a speech using Monroe’s motivated sequence to persuade people to recycle. Create a speech using the problem-cause-solution method for a problem you see on your college or university campus. Create a comparative advantages speech comparing two brands of toothpaste.